We are so excited to host the Hayley Paige Spring 2018 wedding dress collection at our Trunk Show February 9-10, and Denver brides will be the first in CO to see these fresh new wedding dress styles! Hayley Paige wedding dresses are always distinct with a fresh, feminine feel that is ever evolving and always fun and feminine. We can’t wait to see Hayley Paige’s Glazer and Bowie wedding dresses, both using a knit bandage fabric for the bodices that are new to the collection. These two wedding dresses will be perfect for our brides who want more clean, non-embellished wedding dress but still want the Hayley Paige WOW factor. The Hayley Paige Pascal wedding dress is a sleek long sleeve wedding dress with delicate appliques that shows just enough skin. We are obsessed with the flowy skirt and ultra flattering bodice. 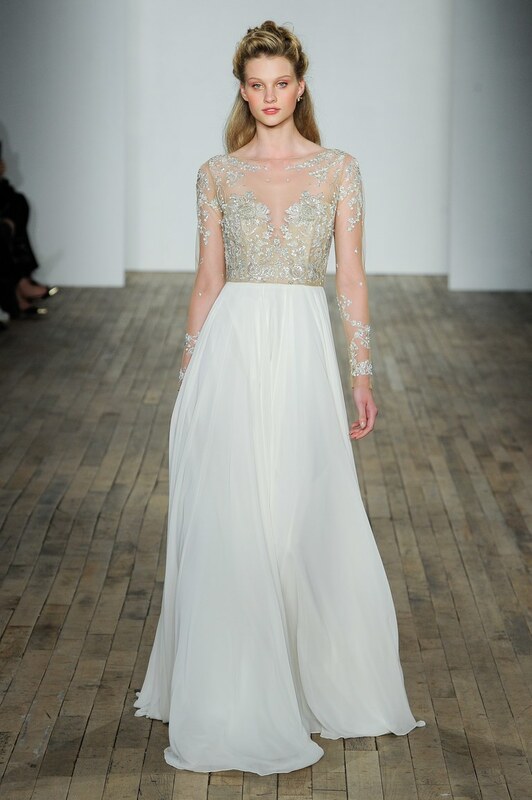 Stay tuned for more new Hayley Paige wedding dress styles to come!! Colorado Wedding Venue Round Up | Our Favorite Outdoor Venues to Get Hitched!